Home/Get Treatment/Treatments/Does Abilify cause weight gain? 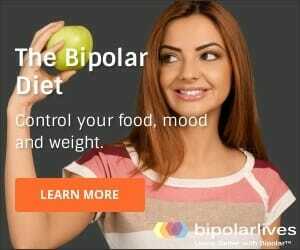 With significant weight gain a side effect of almost every medication used to treat bipolar symptoms, weight related Abilify side effects are of great interest. This is especially so as Abilify was originally considered to be weight gain neutral, or even to possibly assist weight loss. However, more recently there have been claims that Abilify DOES lead to weight GAIN, causing much confusion and concern to consumers. So let’s consider the evidence . . .
First, some background on Abilify. This is a medication produced by Bristol-Myers Squibb and is classified as an atypical anti-psychotic (meaning is one of a new generation of drugs used to treat symptoms of psychosis, for example in schizophrenia. It is also effective in treating bipolar symptoms. Abilify is also known by its generic name of aripiprazole. It is an effective antidepressant which also has anti-manic properties. This has made it attractive as a treatment for bipolar disorder for treating both mixed and manic episodes. But does Abilify cause weight gain? One reason for all the confusion about Abilify and weight and weight gain is that credible sources provide conflicting information. The official Abilify website’s patient information sheet does indicate weight gain as opposed to weight loss as amongst the Abilify side effects. Consumer Reports DOES NOT list either weight gain or weight loss amongst Abilify side effects. In fact, Consumer Reports does not comment on Abilify and weight gain at all, but they also state they have yet to make a detailed examination of all the Abilify evidence. In Davis’s Drug Guide for Nurses, 11th edition, 2009, weight loss is listed, NOT weight gain. The PDR Drug Guide for Mental Health Professionals, 3rd edition, 2007 is silent on the issue. It does not comment on whether Abilify causes weight gain or weight loss. Abilify does cause weight gain in some patients. The Nursing 2009 Drug Handbook, 29th edition, 2009, also list BOTH weight gain AND weight loss as potential side effects. that patients gained much less weight on Abilify than they did on Zyprexa, and some patients lost weight on Abilify. 1. Abnormal or uncontrollable movements of face, tongue, or other parts of body. These may be signs of a serious condition called tardive dyskinesia (TD), which could become permanent. 2. If you have diabetes, or risk factors for diabetes (for example, obesity, family history of diabetes), or unexpected increases in thirst, urination, or hunger, your blood sugar should be monitored. Increases in blood sugar levels (hyperglycemia), in some cases serious and associated with coma or death, have been reported in patients taking ABILIFY and medicines like it. 3. Lightheadedness or faintness caused by a sudden change in heart rate and blood pressure when rising quickly from a sitting or lying position (orthostatic hypotension). 4. Decreases in white blood cells. 5. Impaired judgment, thinking, or motor skills. AGAIN – PLEASE REMEMBER – every person is different. Some folks will not experience any side effects at all and may reap substantial benefits! I have become a compulsive overeater and have often gone out late at night to buy ice cream which is something I have not done in the past. I try very hard to monitor my intake of food, but most of the time find myself eating even though I am not hungry. Every time I get up at night I have something to eat. This is relatively new behavior for me. I also suffer from being hot and excessive sweating, so much so that people have become concerned. How can you loose weight taking Abilify? My son is Always hungry , he’s Autistic Non verbal 14 years old phyc put my son on this Abilify for Agression. i have gain so much wieght when i started taking the drug i took for about 2 yrs also every time my docter changed to a new med it always was a 8 pnd gain…. I’ve been on Abilify nearly a month. I have a lipid disorder, and weight is a problem in the first place. I gained weight steadily every week. I started out weighing 155, now I’m nearly 173. I’m short, too! I’m not bi-polar or psychotic; my doc is trying Abilify to help stabilize my moods. Seeing him tomorrow. Being overweight is extremely depressing to me. Especially when I have to already watch what I eat so carefully. It’s like a problem I have no control over. Can’t have this! I’ve been on Abilify since 2003. I started gaining weight in about 2005, and went from weighing 145 to 245. Now, as a result of the weight gain, my right foot arch fell, and I cannot stand very much because of arch & ankle pain. I’m not even 50 years old yet, but am being prematurely aged by this medication. It is the only medication I take, and I hate it, but am forced to take it. I have gained > than 50 lbs since being on Abilify. This is an add on med to my trintelix. I was on escitalopram and thought that was the culprit so my therapist changed be to trintellix. Does anyone know if once you stop Abilify your weight will decrease? I have been taking this medication for over two years and it caused me to gain 20+ pounds. However, it did stabilize my mood and worked wonders. I will be getting switched to Topamax. Let*s see how that works. I had to stop taking it because this medication made me so hungry that I could not get the feeling of fullness no matter how much I ate. A little weight gain wouldn’t have bothered me but the constant feeling of starvation (and that’s not an exaggerated description!) made me break down in tears all the time. It seemed to only serve to exacerbate my depression. It wasn’t really working for me anyway so the doctor moved on to the next trial. It worked really well to control my mother’s schizophrenia/bipolar disorder but she rapidly gained 30lbs because of it. My young son has been diagnosed early on set childhood schizophrenia. With underlying compuslsivity issues. He is on a very low dose. 1mg to start, now he is only on 2 mg because he is only 6. But he seems he cannot stop thinking about eating. He eats a normal meal then as soon as he is finished he begs for more food. Pesters me non stop about his next meal. He even has been caught sneaking food after the fact. Its relentless about his obsession of food. He has gained weight. Now he is lying about everything. Even if he is caught he lies. I’m concerned because this medicine helps some. Without it he can be un managable and very violent and compulsive hyperactivity. Problems getting to sleep at night also. I have gained 13 pounds on Abilify in two months and I’m only on 1 mg. per day. I am hungry all the time and tend to eat out of control at night. I have never been like this and I’ve never had a problem with weight. I’ve decided it’s not worth the benefits but unfortunately it’s not a medication you can just stop taking even at my small dose. I have been on it for only one week and my mood has really improved for the last two days. Best I have felt in years. Am also on Citalopram so both seems to make a big improvement in treating my depression, anxiety and total lack of interest in every aspect of live (even thinking suicide). I have been on Abilify for 9 months for bipolar I disorder. I have lost 45 pounds by watching what I eat.